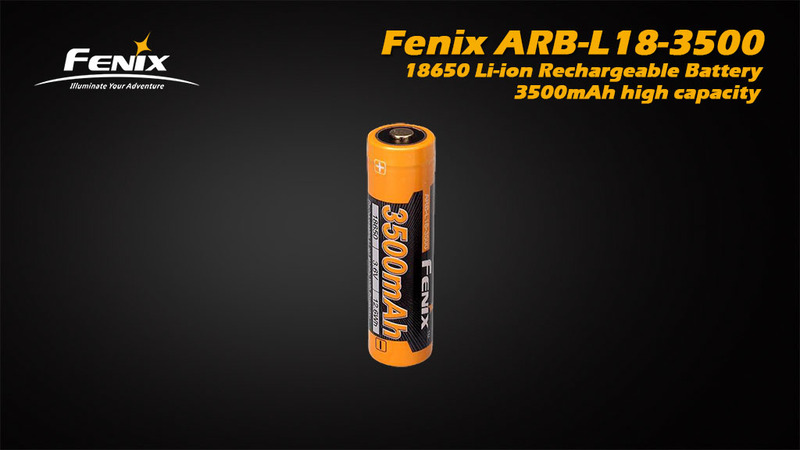 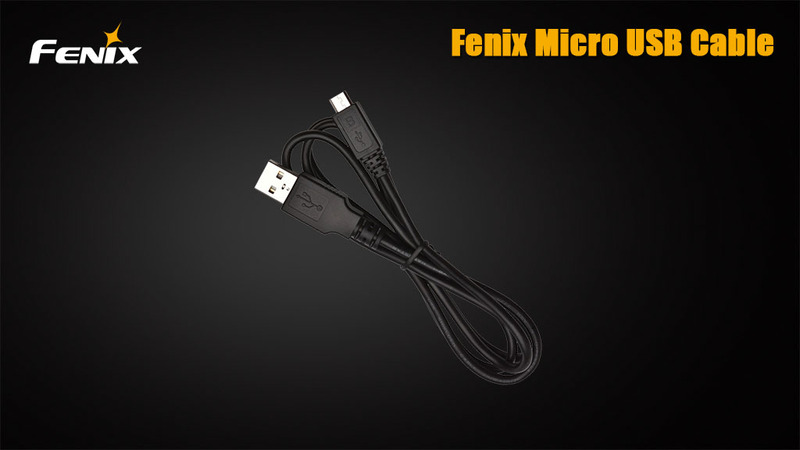 Fenix ARB-L18-3500U is a high capacity 18650 Li-ion rechargeable battery with a built-in micro-USB charging port. 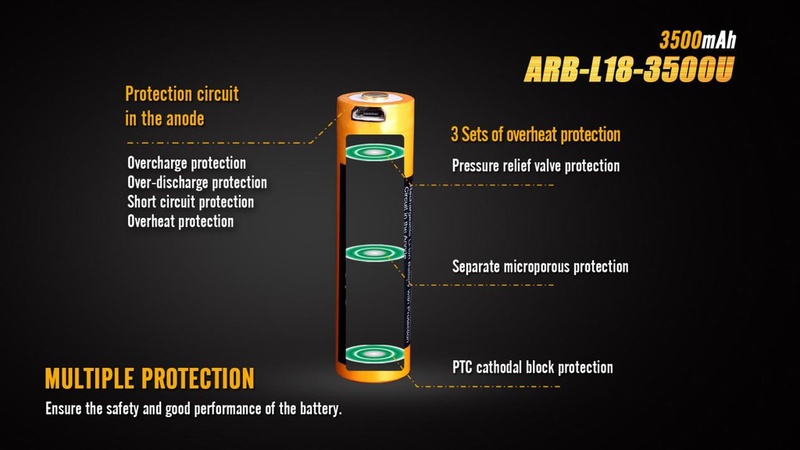 It also includes a protection circuit in the anode to help prevent short circuits, over charge/discharge and over heating. 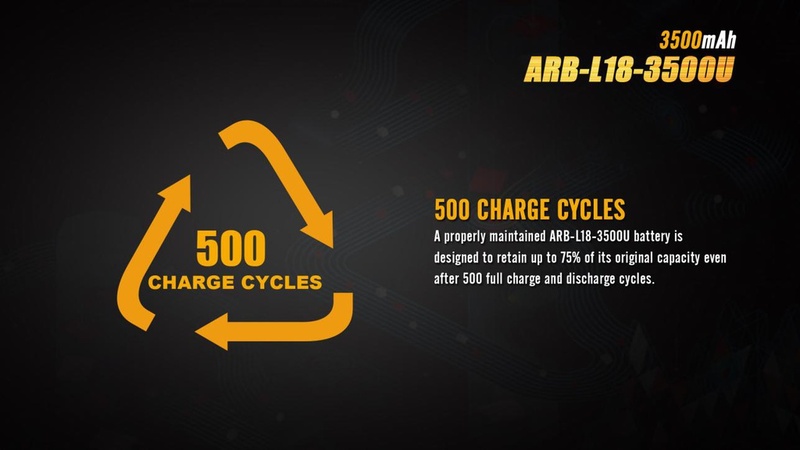 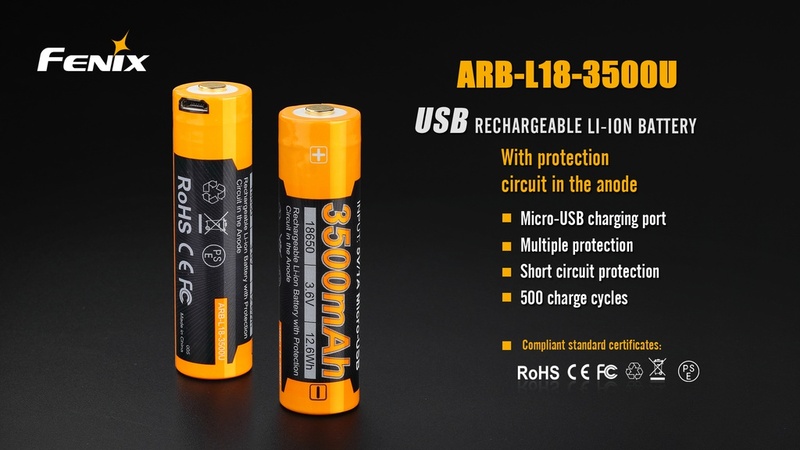 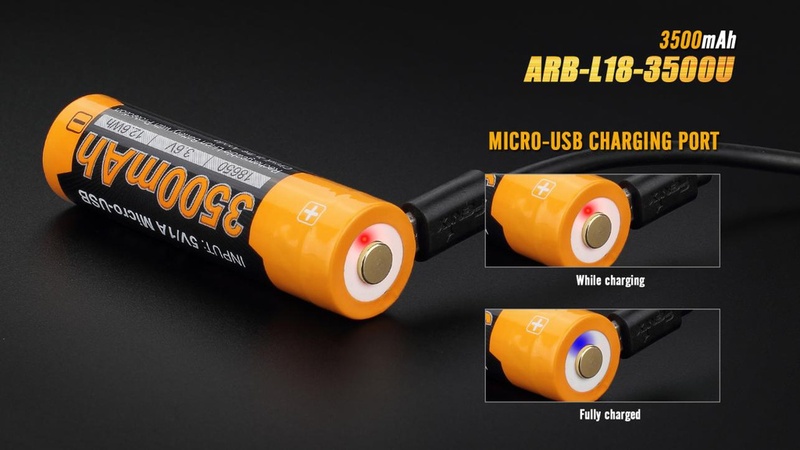 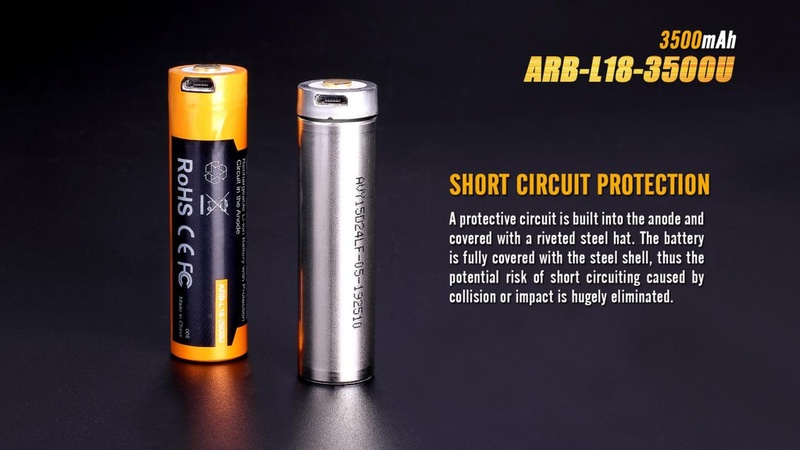 This battery can quickly be charged without the need for a separate charger, need to mention an external charger will charge the battery faster and more convinient in most situations. 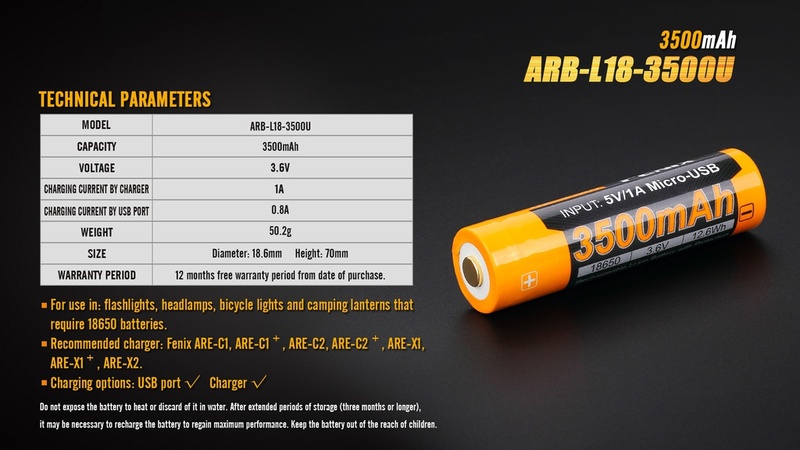 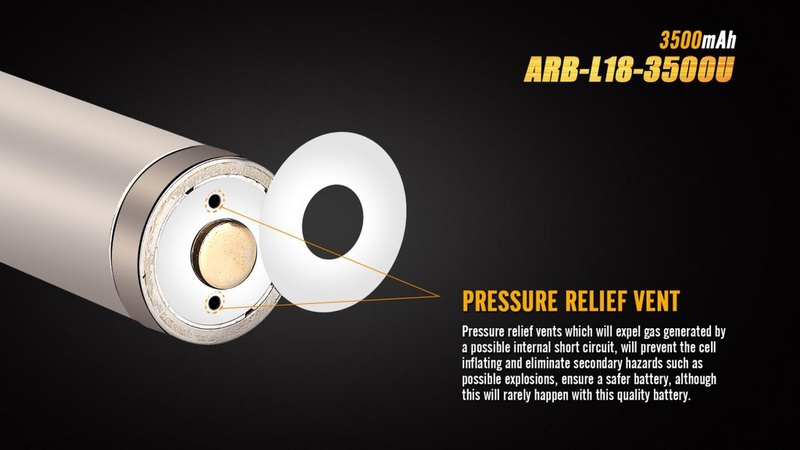 This batter will work in all of the models that utilize the standard Li-ion 18650.